Akitu/Chaldean Babylonian New Year Festival is a festival that marks the renewal of life, the beginning of spring in ancient Mesopotamia. It is also referred to as Resh Shatti(m), which literary means the beginning of the year. In Babylonian religion, whether during the first recorded unification of ancient Mesopotamia under the legendary king of Kish Meshalim (2550 BC) or during the Babylonian dynasties, it came to be dedicated to Marduk’s victory over Goddess Tiamat, the bloated female dragon that personifies the saltwater ocean; in short, the victory of civilization and order on Chaos. It has been proposed that Thanksgiving may trace its earliest recorded origins to this ancient Mesopotamian harvest festival. 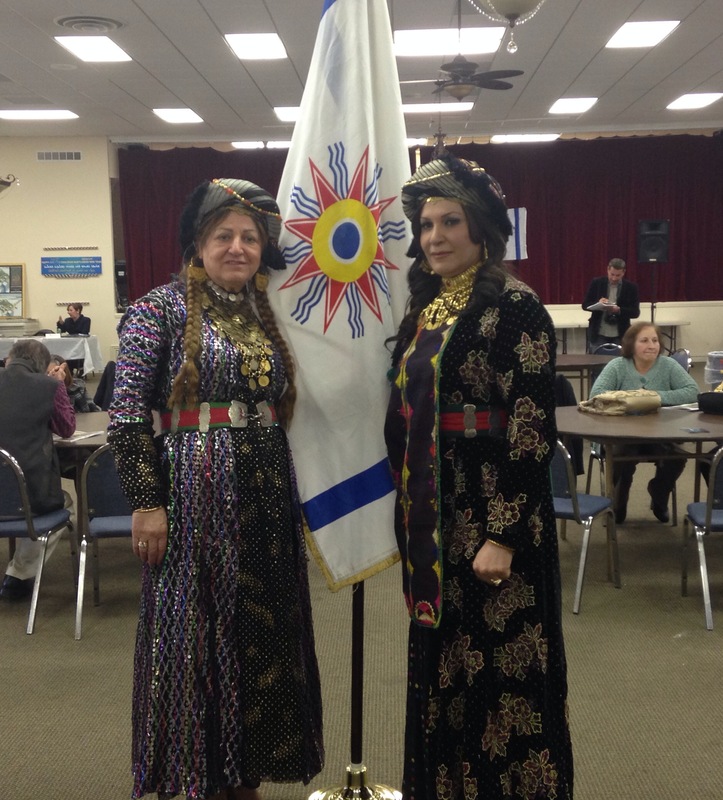 In honor of this occasion, the Chaldean Educational Center of American and UR Multimedia held its yearly AKITU festival event at St. Joseph Chaldean Catholic Church on Sunday, April 6th. The festival included Chaldean music, a book fair and photography exhibit, a show, and of course, food and drink. My children’s favorite part of the event was eating the delicious kabob sandwiches! I loved seeing the women dressed in the traditional clothes my grandmothers and great-grandmothers once wore. My most favorite part was the information that artist, historian and author Amer Hanna Fatuhi shared about this festival. More information can be learned about this festival by reading Mr. Fatuhi’s book, The Untold Story of Native Iraqis.